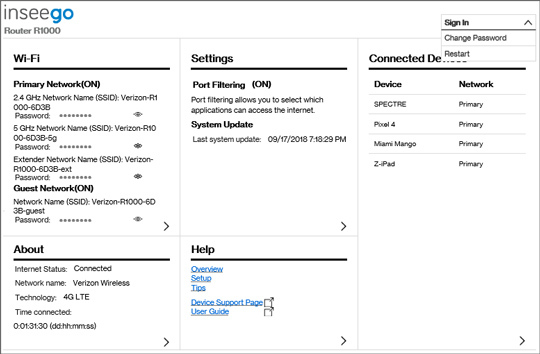 Verizon 5G Home service is currently offered in specific areas; haz clic aquí to check for 5G coverage availability. También puedes set up parental controls or time blocks from your My Verizon app. You must be connected to the 5G Home network to access the admin page. From the Settings panel, click the Arrow icon . From the Router menu, click Parental Controls. Click the Schedules tab then click Create new schedule. If presented with a tutorial, click Next then click Create new schedule. 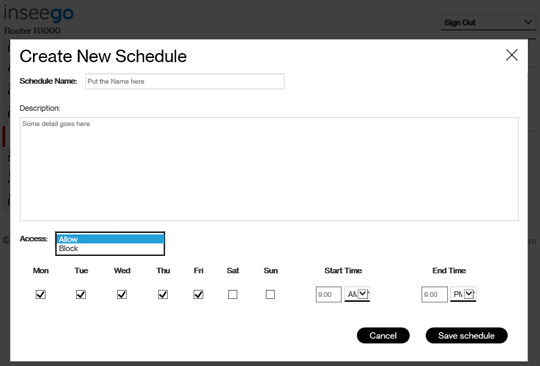 From Create New Schedule, enter the desired schedule options then click Save schedule. From Devices, click the Schedule dropdown for the appropriate device, select the desired schedule, then click Save Changes. Schedules displayed are configured from the Schedules tab.